Siem Reap is the popular resort city in the far reaches of Cambodia; the gateway to the ancient Angkor temples. A trip into Southeast Asia isn’t complete without a stay in the province, which boasts deep history and a tourist-friendly approach. Whether you’re searching for cheap markets, breathtaking sights or a drink on the infamous Pub Street, Siem Reap is fast becoming one of the more interesting cities in Asia. While other tourist destinations continually build towers and Western luxuries to appeal to travellers, Siem Reap thrives in culture. The business district isn’t large, comprising of a few blocks of chaotic streets, defiant tuk tuks, hard working locals and countless shops that sell anything and everything desired. 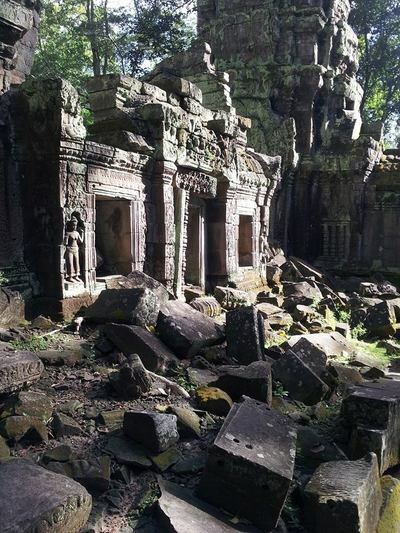 But the drawcard, without a doubt, are the temples of Angkor, situated a short ride away. More than a day is needed to see and appreciate the beauty and wonder of Angkor. Each temple is unique and can be explored to the participant’s content. While the routes are often populated, many tunnels and openings can lead to a serene environment in which you find yourself alone and away from the consistently clicking cameras and chatter. Angkor Wat is the main attraction; prime Khmer architecture that stretches across the horizon and features on the national flag. The long walk across a bridge surrounded by water leads to the first opening, where large fields are covered in ancient ruins and plant life. 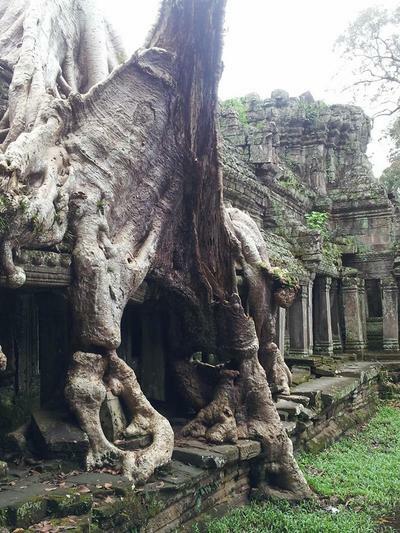 Ta Prohm is also amongst the most popular, having been featured in the film Tomb Raider with Angelina Jolie, and is more secluded within a jungle-like setting. The range and difference between each location is vast; some soar into the sky, others venture into an intoxicating darkness, and one even opens out into a religious circle after a 10 minute maze, where tourists light incense and are blessed by the equivalent of priests for good luck and safe travel. Warning: while locals are friendly and often informative, there are some who lurk in the temples waiting for fresh-faced tourists. They begin to tell you about the history of the place you’re standing within, and offer to take your photo in scenic positions. This isn’t out of the kindness of their hearts; they’ll expect payment, and on one occasion became extremely demanding. Take caution if alone. Also be prepared for countless young children tugging on your clothes and asking you to give them a dollar (American), or attempting to sell anything from pineapples on sticks, bottled water, trinkets and souvenirs. You haven’t seen persistence until faced with a begging kid that will follow you through a temple’s entirety for the loosest of change. Once the feet are sore, the skin is burned and enough history has been dwelled within, it is time to hit the town. Pub Street, as can be imagined, is the hub of the action. Pubs, bars and clubs line either side of the bustling path, full of cheap alcohol, party goers and hit music. This is the perfect way to wind down after an unforgettable experience, where pictures just cannot do justice.